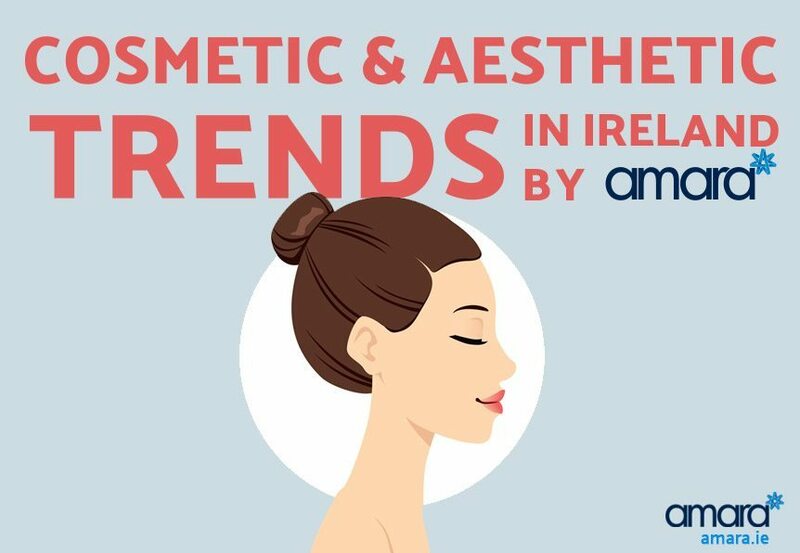 A couple of weeks ago we asked you to take our survey focused on Cosmetic and Aesthetic trends in Ireland, trying to find just what people thought and felt about the Aesthetic industry in Ireland. Check out the survey results and the infographic below (click to view larger version) to find out what you thought! Aesthetic and Medical Survey 2016 – Who Did It? 62 of theses identified as female while only 3 identified as male. 52% answered yes while only 48% said they had never had Aesthetic Treatment! By Aesthetic Treatment we explained that we meant non-surgical treatments such as: Botox, anti wrinkle injections, lip fillers, dermal fillers, liquid facelift, glabella injections, brow lift and PRP. 27% said they were not interested in having any treatment while lip filler and Botox were the most sought after procedures with 18% each. Those who said other sought after either dark circle correction or were open to almost any treatment. Who’s Having Aesthetic Treatments in Ireland? The majority of people who took part in our survey have had some type of Non Surgical Aesthetic Treatment! The average age for the first time getting a non-surgical treatment was 35 however, this age ranged from 18 to 65! We then wanted to find out if they were more aware of treatments that had become popular with celebrities compared to those that hadn’t. 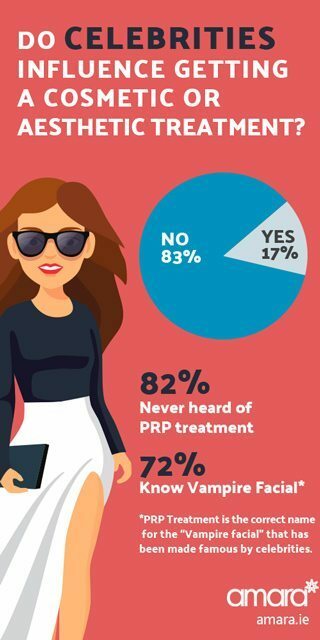 When asked if they had heard of PRP treatment a whopping 82% said no, however when asked about the ‘Vampire Facial’ 72% said yes! PRP Treatment is the correct name for the ‘Vampire facial’ that has been made famous by celebrities, perhaps we are more influenced by celebrities than we thought. Do you know someone who had or regularly has aesthetic treatments? What is your average monthly spend on Skin Care? Other options that were popular were Supermarkets Health Stores and receiving them as gifts! Have you had either of these treatments? What Do The Irish Aesthetic and Medical Survey 2016 Results Show Us? There is still a secrecy surrounding Aesthetic treatments however this shows that most treatments are not obvious. In the future lip fillers look set become the most popular first treatment. People are more open to the idea of having non surgical procedures – this is similar to a recent study done in the US. The majority of people still buy their skincare from a chemist. Chemists are only allowed to stock cosmetic products which have no effect on the skin. We are influenced by celebrities in what treatments we are aware of which then likely lead to what treatments we may end up getting. So, there you have it, the results of the Irish Aesthetic and Medical Survey for 2016. Thanks to Mummy Pages/ for sharing the survey originally but what do you think of the results of the survey? Does it reflect your feelings towards the aesthetic industry? Let us know in the comments section what you think and if you’d like to arrange a consultation then get in touch!